The words ‘rebellion’ and ‘revolution’ have gained renewed prominence in the vocabulary of world politics and so has the question of justifiable armed ‘resistance’. 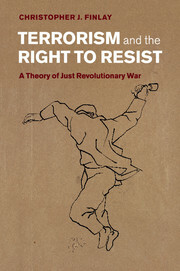 In this book Christopher J. Finlay extends just war theory to provide a rigorous and systematic account of the right to resist oppression and of the forms of armed force it can justify. He specifies the circumstances in which rebels have the right to claim recognition as legitimate actors in revolutionary wars against domestic tyranny and injustice, and wars of liberation against wrongful foreign occupation and colonialism. Arguing that violence is permissible only in a narrow range of cases, Finlay shows that the rules of engagement vary during and between different conflicts and explores the potential for irregular tactics to become justifiable, such as non-uniformed guerrillas and civilian disguise, the assassination of political leaders and regime officials, and the waging of terrorist war against civilian targets.